Its a new year and time to think about what we want for the year. 2012 was a crazy year for us - plenty of wonderful things but also some less good too. 1) Stress less, laugh more. 2) Find the happy, fun, carefree you again. 3) Find more things to do around the city– make the most of where you live – get out more. 4) Be more thankful/appreciative – look around. Life is amazing. 5) Get fitter and healthier - nothing drastic, just keep eating salads, go for walks or rides, try not to eat as much junk. 1) Does this REALLY matter – are you getting stressed over nothing? Do you really want to devote all that brain power to something so stupid/meaningless/temporary ? 2) You are a worthwhile, intelligent, caring person. Believe it. You’re already making the difference you want to make to peoples lives. 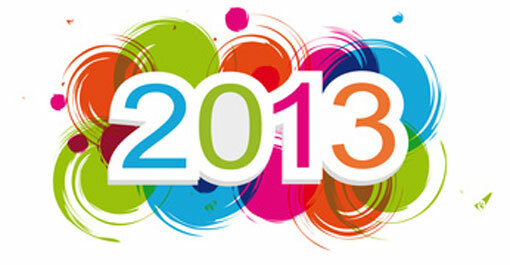 So, bring on 2013, lets see what adventures we have this year.